Armadillo Tactical Gear is the SWAT and military’s #1 choice for tactical ladders and accessories. 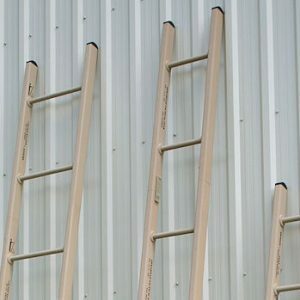 The carbon-fiber ladders they develop is high quality and extremely lightweight, making tough situations that acquire agility and speed easier. Federal Resources, a top supplier for Armadillo Tactical ladders, offers extensive training for all military, SWAT, and first responder gear. The Tactical Ladder System from Armadillo is the go-to solution for deployable, carbon-fiber ladders.Featuring its lightweight construction and segmented design, the ladders are easily transported in a vehicle or backpack. The tactical ladders expand between 4-12ft in length and are easily and silently assembled and broken down in the field. The carbon construction only weights 12-pounds. This practical design and portability make Armadillo’s ladder a top pick among all tactical organizations that need a durable, portable system. Contact Federal Resources today to learn more about and purchase Armadillo’s tactical ladder.